Software araçlarımızla, makineniz için en uygun sürücü çözümünü kolayca belirleyebilir, sisteminizin ilk devreye alımında zaman kazanabilir, ister profesyonel ister acemi olun, basit parametrelendirmeden ve operasyondan yararlanabilirsiniz. Progress in electrical engineering and enhanced cooling concepts have paved the way for decentralized drive technology. Baumüller converters can be built with a compact design and a very high degree of protection to allow installation outside the control cabinet, directly in the machine. This development provides numerous further benefits. Our mobile drive technology provides eco-friendly and energy-efficient alternatives in the commercial vehicle sector. We draw on decades of experience in engine development and electric motor production to successfully develop hybrid drive concepts for a wide range of vehicles — e.g., our designs can be found in city buses, snowcats and inland waterways. 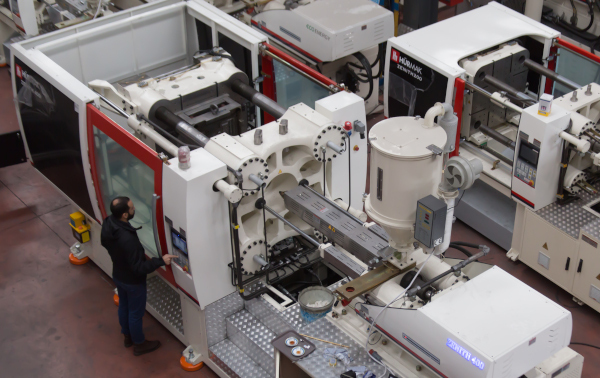 Our goal is to give your machines a competitive edge, allow you more flexibility in machine layout and guarantee the required level of productivity and operating efficiency for the operators of your machines. The focus of our developments is therefore to provide our customers our modular, scalable machines and technology modules. We have been implementing customized solutions for renowned machine and plant manufacturers for many years — from sheet metal parts through to fully wired control cabinets. To ensure we can respond optimally to your requirements and wishes, you receive everything from one source from planning to installation. In addition to the qualitative approach to safety required by the EN 954-1 standard, EN 13849-1 demands a quantitative calculation of safety functions. In many installations, this leads to the use of a safety control being required. Baumüller provides PLCopen Safety-compliant security solutions that can be integrated throughout the machine's automation system. Our software tools let you easily determine the optimal drive solution for your machine, save a lot of time during the initial start-up of your system and profit from a very simple parameterization and operation – regardless of whether you are a beginner or a pro. The Internet provides fast networking and is often used for private or business purposes. Humans, machines and sensors also communicate with each other in the industrial sector. The innovations promote a highly efficient, intelligent and flexible production. At the control level, Baumüller offers user-friendly and innovative machine modules to create optimal processes in a time-saving manner. The machine modules are available for different applications. The innovative and optimized solutions save a lot of time when parameterizing the machine. Complex motion controls can be configured in just a few steps. Components that intelligently link to make numerous machine solutions feasible. The motion library is a software library developed by Baumüller that can control motion sequences for motor-based axes of a system. This is made possible by numerous pre-fabricated modules. Çok sayıda makine üreticisi, otomasyon ortağı olarak Baumüller'i seçti ve mevcut makine serilerini büyük ölçüde geliştirdi ve gelecek için yeni seriler kurdular. Aşağıdaki kullanıcı raporlarında daha fazlasını okuyun.